Sergei Dovlatov in New York. Sergei Dovlatov would have been 75 on Sept. 3, 2016. A three-day festival will celebrate his life and work, recognizing his contributions to Russian samizdat and émigré literature. 1. In the Soviet Union, Sergei Dovlatov's works were not published as a matter of principle. The magazines did not want to print the bitter truth of Soviet life he wrote about. After his story The Zone, about the daily life of camp prisoners and guards, he was blocked from the Soviet publishing system. For many years, however, his writing was distributed in the USSR through samizdat (underground publication). There is even an anecdote about Dovlatov once submitting a poem by famous 19th-century poet Afanasy Fet to a magazine, pretending it was his own. The response was that the author still had a lot of work to do. His friends remember that "Seryozha was very content." 2. Dovlatov loved the poet Alexander Pushkin very much and for many years worked at the Pushkin Museum in Mikhaylovskoye (the Pskov Region). He wrote about this experience in his famous work Pushkin Hills. His friend Alexander Genis writes in the book Dovlatov and his Environs that Sergei named one of his daughters Alexandra, in Pushkin's honor. 3. 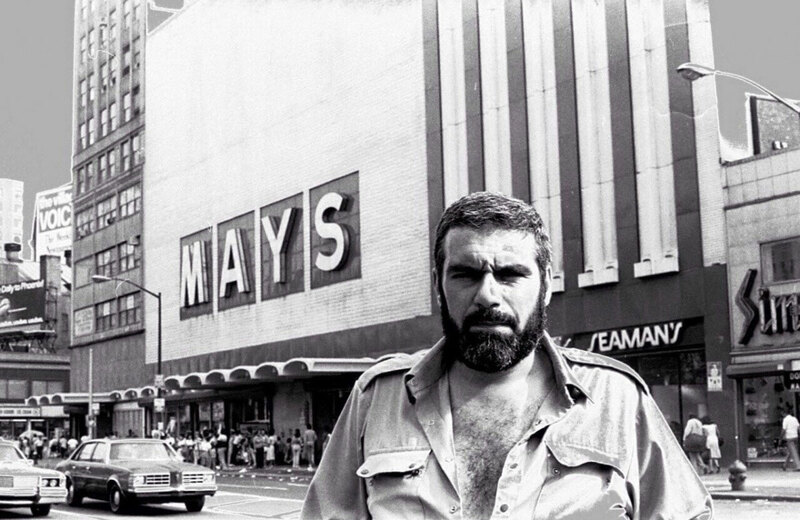 In the late 1970s, Dovlatov immigrated to New York. There he was friends with many émigré writers. He often met with poet Joseph Brodsky, always thoroughly preparing himself before their encounters. Genis writes, "I think that Brodsky was the only person whom Sergei was afraid of." But "everyone was afraid" of Brodsky and everyone venerated him, admitting the unique scale of his personality. 4. After the publication of one of Dovlatov's stories in TheNew Yorker, American writer Kurt Vonnegut wrote, "I expect a lot from you and your works. You have a great talent, which you are ready to give to this mad country. We are happy that you are here." 5. According to Brodsky, girls called him "our Arab" for his vague resemblance to American actor Omar Sharif; he was tall with black hair. One of his wives, Tamara, remembers that when he first telephoned to ask her out on a date, he said he "resembled a dried apricot vendor. Big, dark, you'll be scared immediately!" 6. Dovlatov was famous for his pathological punctuality and hatred of delays. He was a perfectionist not only in his prose but also in life. Untied shoelaces, an imprecise word, an incorrect stress or ingratitude equally got on his nerves. Even the most attentive readers will not find a sentence in his works in which two words begin with the same letter. Moreover, he never started or finished a story with a humorous sentence. 7. Humor, according to Dovlatov, is not the end or the means, but an instrument to understand life. If you are studying some kind of phenomenon, find something that is funny about it and it will open in all its entirety. Genis wrote that Dovlatov was convinced Dostoevsky was the funniest author in Russian literature and tried to persuade everyone to write a dissertation about it. 8. Dovlatov's daughter Katherine lives in New York City. Thanks to her efforts, one of the city's streets was renamed Sergei Dovlatov Way. She also translated the novella Pushkin Hills into English. Her father always considered this work untranslatable due to some of the characters' particular way of speaking. 9. In his youth, Dovlatov loved to box. There were even rumors that he held a certain rank. In America, he loved watching boxing on television and followed Muhammad Ali's matches. 10. Dovlatov disliked museums, was not attracted to nature or painting, but loved music. Once he even sang during an event with readers. He wrote a lot about jazz. His last work in TheNew American, a Russian-language émigré newspaper, was dedicated to jazz.